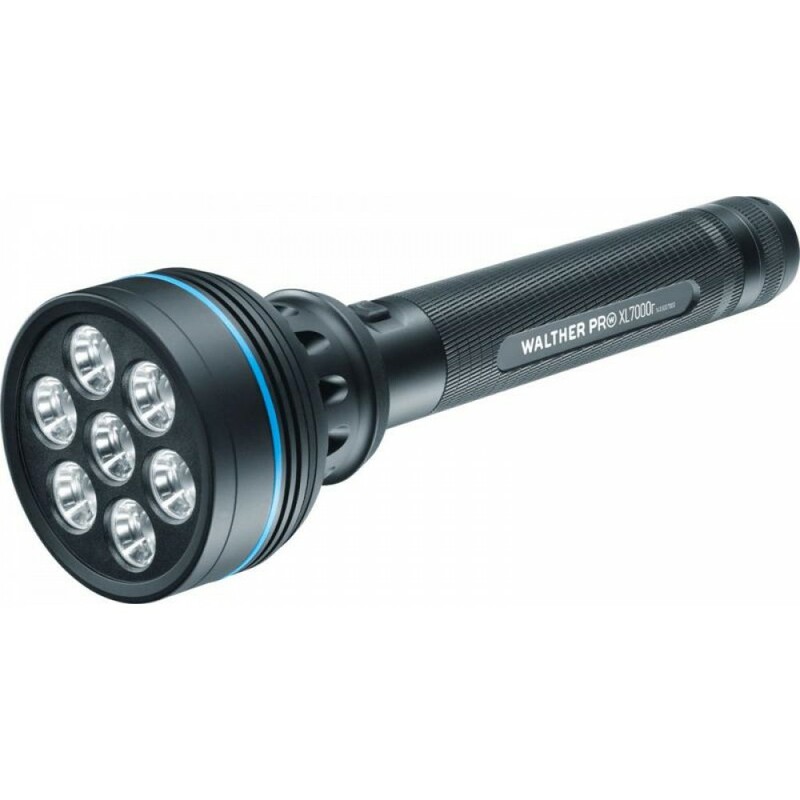 The biggest Walther Pro flashlight would make a fine spotlight in a theater, or you could use it when shooting a film. Its 7 (seven!) high-power LEDs generate an intense beam of 2200 lumens that illuminates everything in sight, even at long distances. The XL7000r is surprisingly easy to handle, with one hand free. It is powered by a battery pack and an enclosed power adapter. This makes the XL7000r easy to charge, four blue LEDs show the charge level.